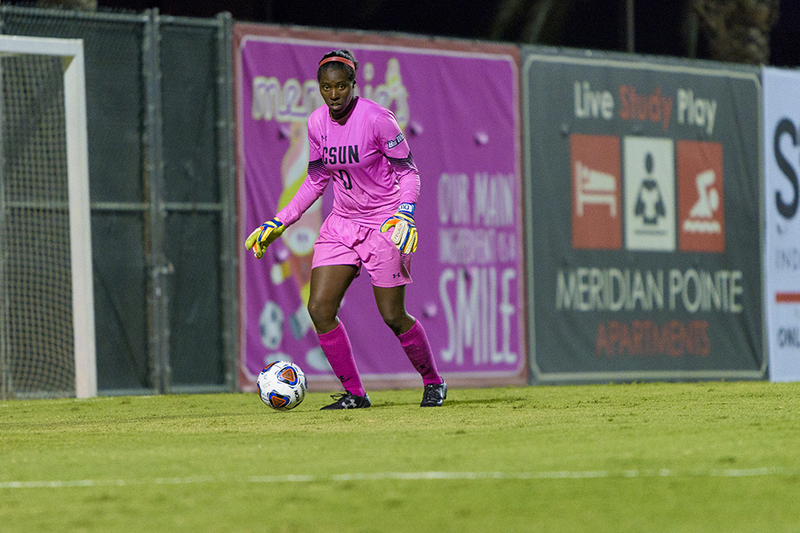 On Oct. 19, goalkeeper Jovani McCaskill of San Diego tied the team record for most career shutouts (27). She is CSUN's all-time career leader in goals against average with 0.75. She set the single-season shutout record with 14 in 2016, and allowed just two goals at home for the entire 2016 season. Her list of accolades includes: 2016 NSCAA All-West Region First Team, 2016 Big West Goalkeeper of the Year, 2016 All-Big West First Team and 2014 All-Big West Honorable Mention. Photo by CSUN Athletics. 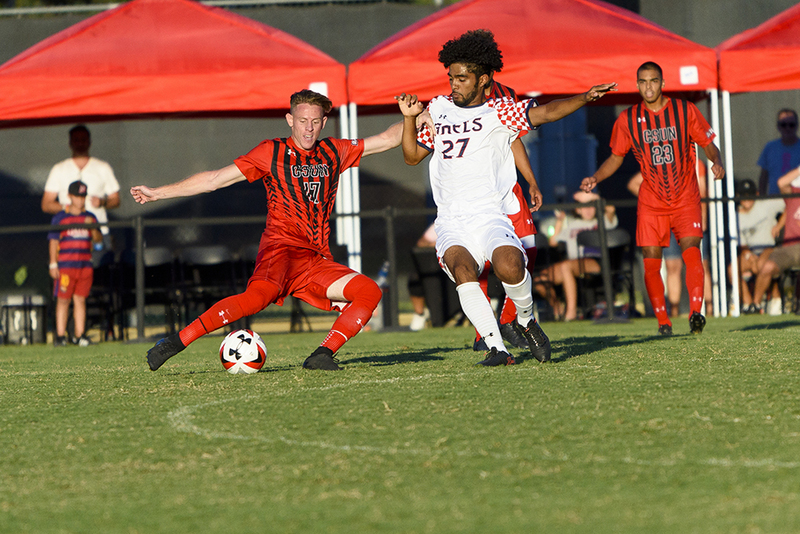 Defender Daron Mealing of San Diego has started more than 20 games in two seasons at CSUN after transferring from Mira Costa College. Photo by CSUN Athletics. 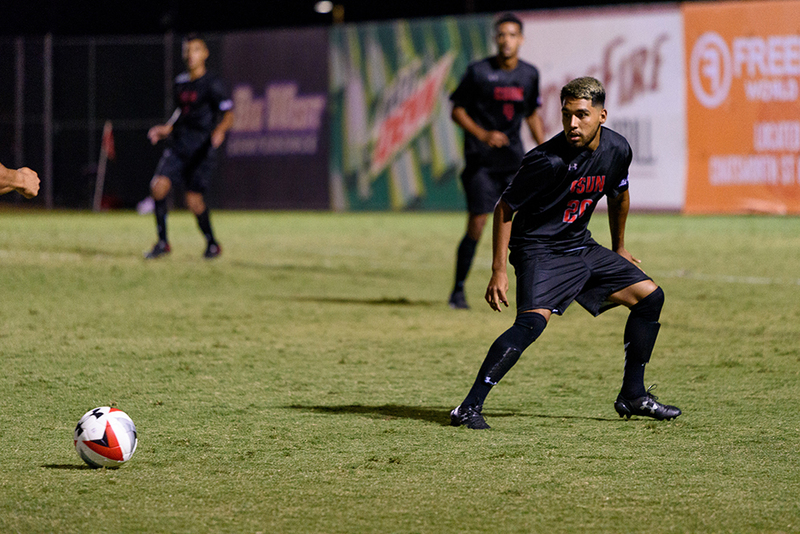 Defender Alfonso Flores of Pacoima has appeared in seven games, including one start, for the Matadors since transferring from LA Mission College two years ago. Photo by CSUN Athletics. 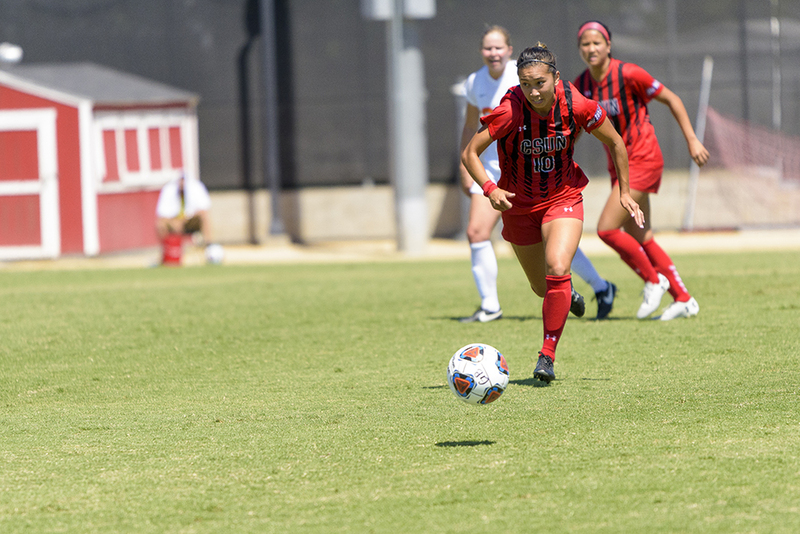 Midfielder Ariana Tran of San Diego has started the majority of the games in her CSUN career. She has delivered big plays, including a game winner this season against Grand Canyon, an assist on a game-winning goal against UC Riverside in 2016, and a game-winning goal at Portland in 2015. Photo by CSUN Athletics. Forward Cynthia Sanchez of Gilroy set the single-season scoring record with 11 goals in 2015. She needs one goal to tie for the most career goals in school history (she has 21). Sanchez is also tied for most career points scored in team history with 48. Her long list of accolades include: 2016 All-Big West Second Team, 2015 NSCAA All-West Region Third Team, 2015 All-Big West First Team, 2014 All-Big West Honorable Mention and 2014 Big West All-Freshmen Team. Photo by CSUN Athletics. Photo by CSUN Athletics. Forward Dean Wright of Chatsworth has appeared in 23 games during his two years at CSUN after transferring from Cal State Fullerton. He scored the game-winning goal in 2016 season versus Loyola-Chicago and had two two-assist games. Photo by CSUN Athletics. 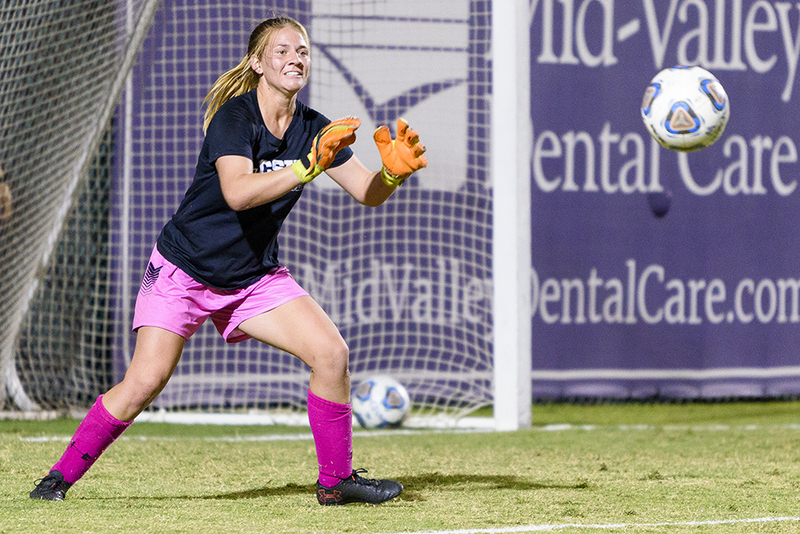 Goalkeeper Jenna Koziol of Granada Hills has appeared in a career-high three games this season. Photo by CSUN Athletics. 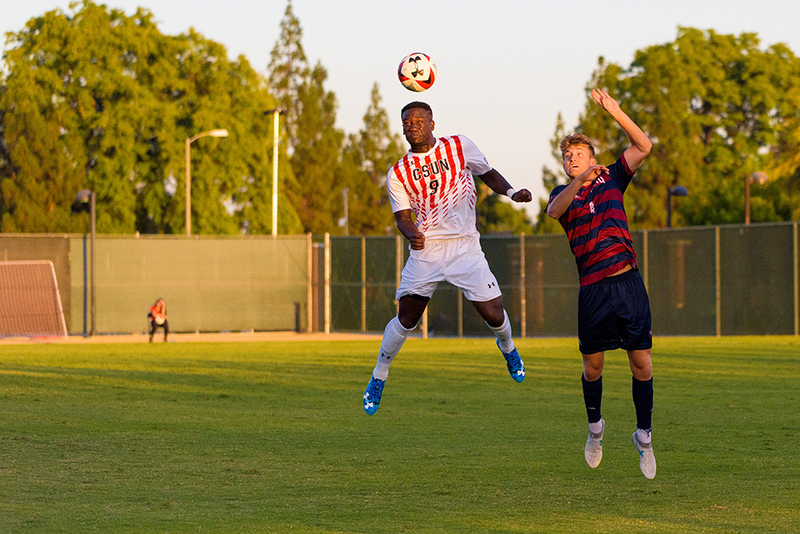 Forward Emmanuel Usen Jr. of Houston, Texas, was named honorable mention All-Big West Conference in 2016. 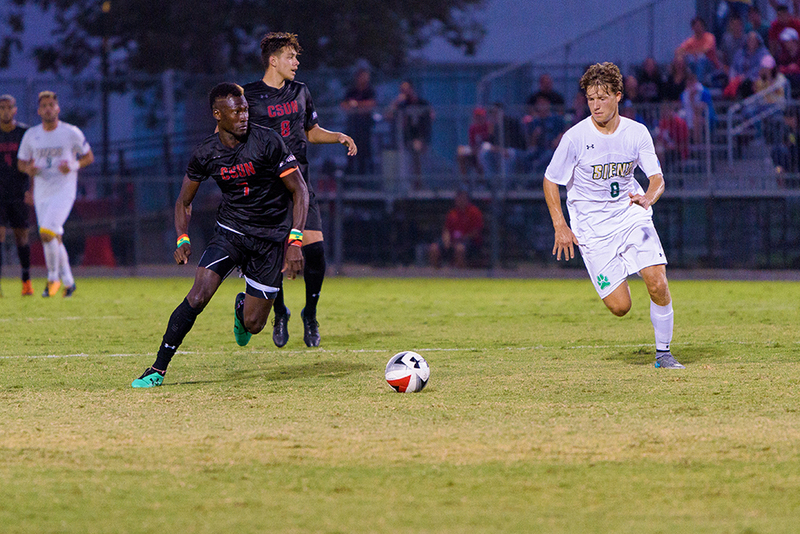 He was named Big West Offensive Player of the Week after totaling two goals and an assist in a pair of CSUN victories for the week ending Sept. 17, 2017. Photo by CSUN Athletics. Of the three goals forward Jeremy Degraffenreidt of Baltimore has scored since transferring from Louisville three seasons ago, two were game winners. 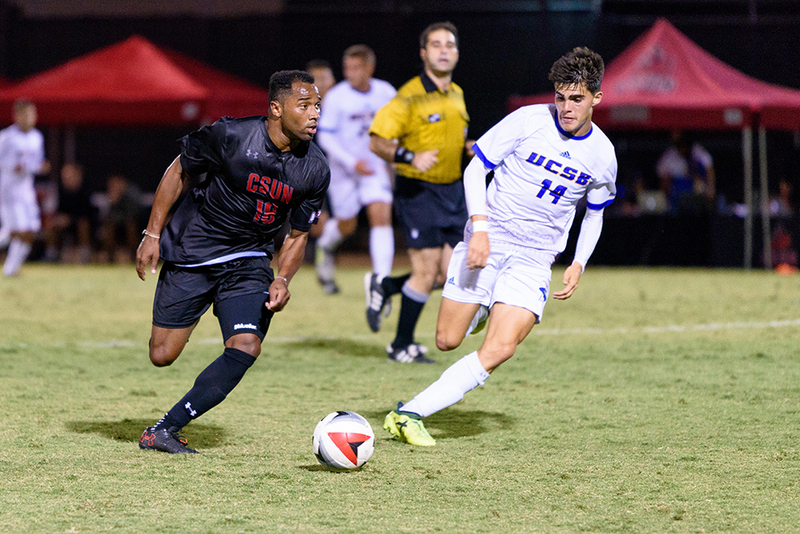 The biggest: He lifted the Matadors to the 2016 Big West Conference Tournament title with the golden goal in double overtime versus Cal State Fullerton. Photo by CSUN Athletics. 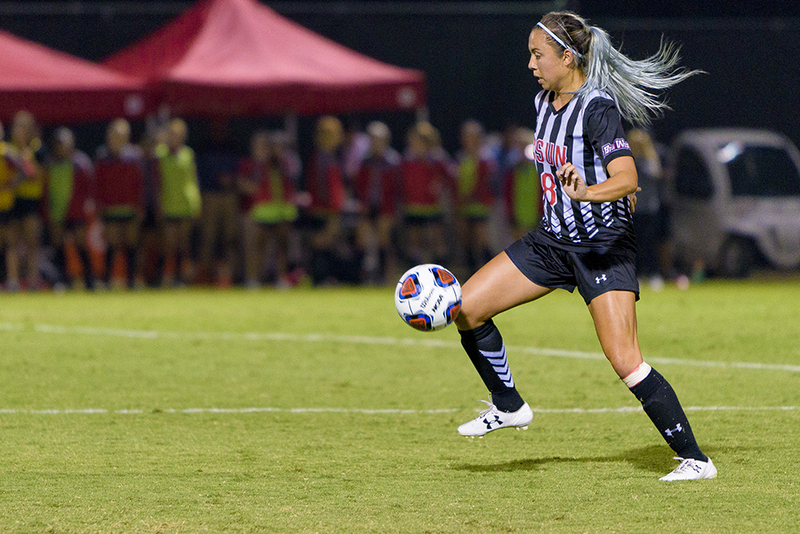 Forward Sylvia Trinh of San Diego has delivered numerous big plays in her CSUN career, including a game winner over Cal Poly in 2017, a game winner over Portland State in 2016, and two assists on game winners in 2016. Photo by CSUN Athletics. Forward Papi Diouf of Dakar, Senegal, was a preseason All-Conference selection. He recorded the second-fastest goal in NCAA Division I history in a 2-1 victory over Tulsa in 2016, scoring eight seconds into the match. Photo by CSUN Athletics. The California State University, Northridge men’s and women’s soccer teams will each honor their seniors at upcoming games. 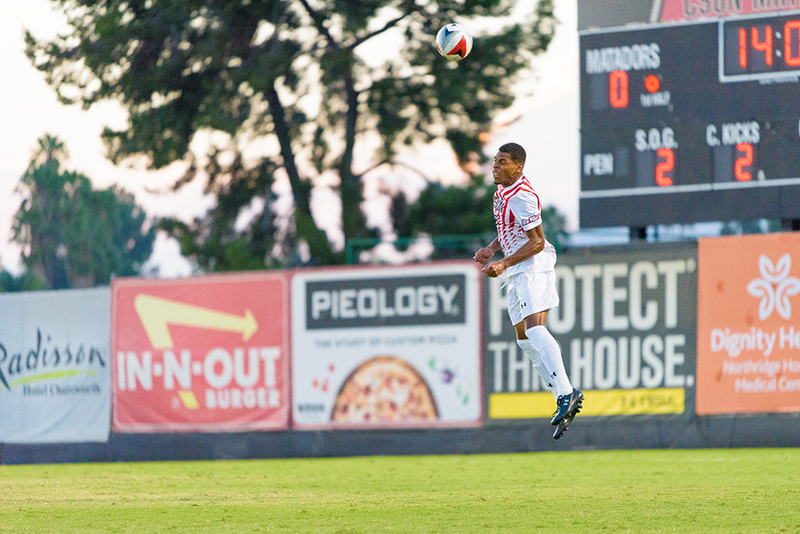 The CSUN men’s soccer Senior Night is 7 p.m., Wednesday, Oct. 25, versus Cal State Fullerton. 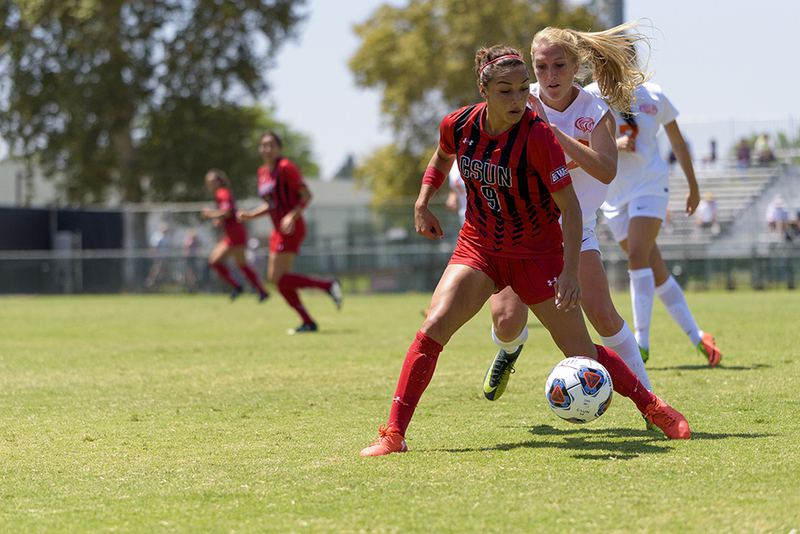 The CSUN women’s soccer Senior Night is 7 p.m., Thursday, Oct. 26, versus Long Beach State. Please review the photo gallery above for bios of each senior.